With no announcement, officials begin referring to the "new $1.6 billion stadium" project. 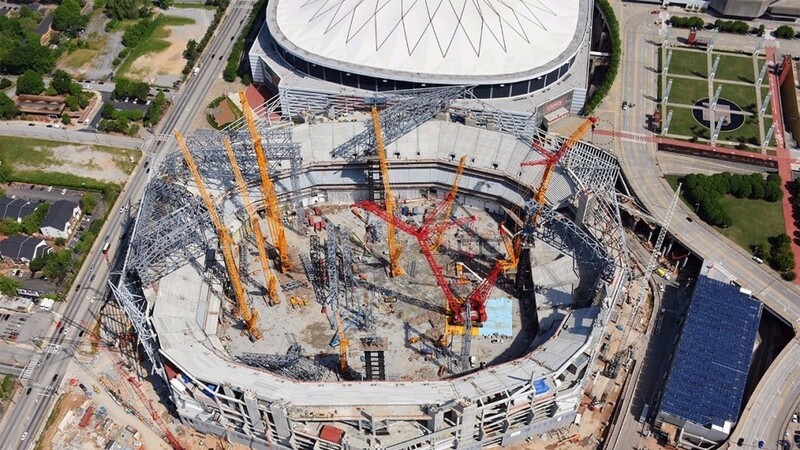 ATLANTA -- There are strong indications that the cost of the new Falcons stadium is going up again. The Falcons aren’t officially confirming it -- but the info leaked out during an event this week. 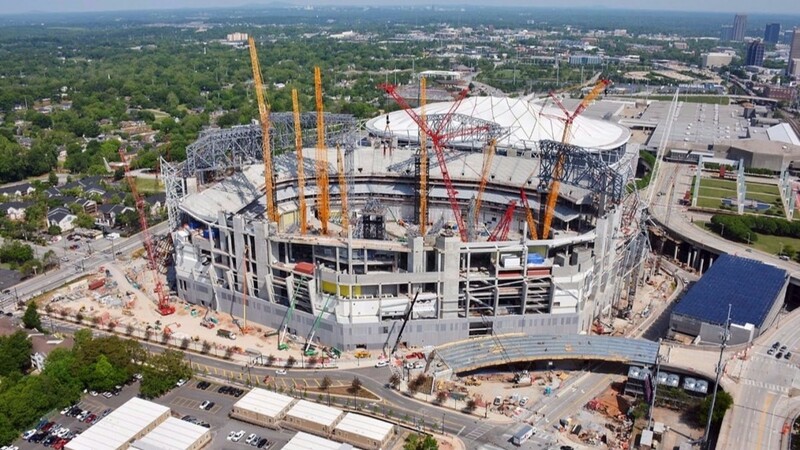 Officially, the cost is still $1.5 billion, according to a spokeswoman for Falcons owner Arthur Blank. 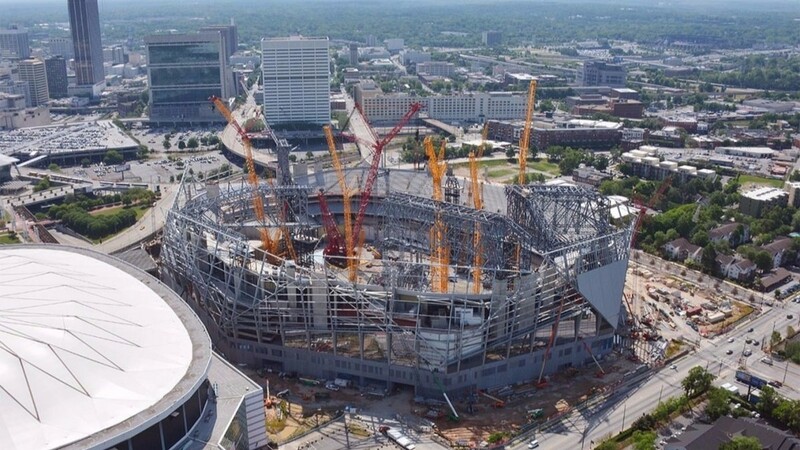 But the president of the Arthur Blank Family Foundation spilled a number a hundred million dollars higher during an event this week—as did mayor Kasim Reed, when he also said it was a $1.6 billion project. Reed was announcing funding for park construction "across the new $1.6 billion stadium campus" Monday, and backed up by Penny McPhee, president of the Arthur Blank Family Foundation -- also describing that park near "our new $1.6 billion Mercedes Benz stadium, home of the Atlanta Falcons..."
It’s a number that would represent just the latest in a series of breathtaking cost increases in the stadium project. 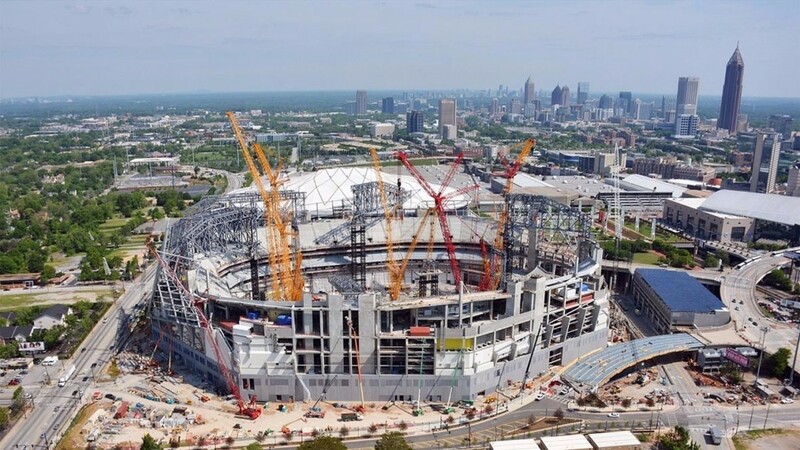 Although $200 million of the stadium construction is state-subsidized, the Falcons are financing all higher construction costs. 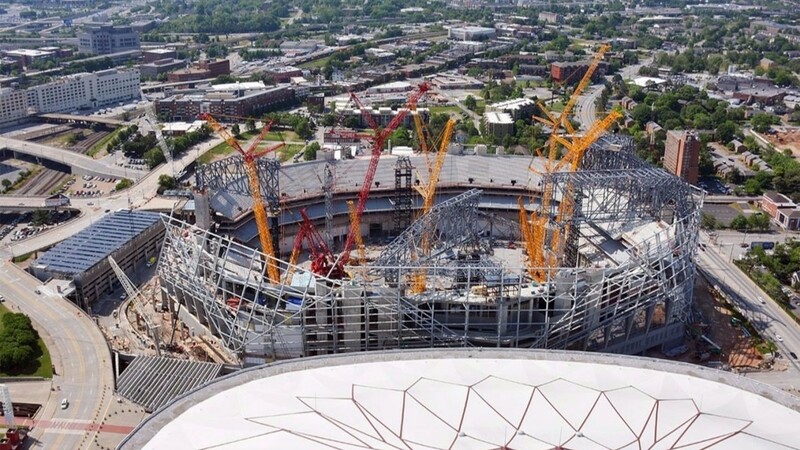 When the Falcons stadium got its first government approval in 2012, the cost was just shy of a billion dollars. One year later, as the design was announced, it shot up to $1.2 billion. In 2014, the year, it broke ground, it went up to 1.4 billion. In 2015, it shot up again to 1.5 billion. And then this week: $1.6 billion, at least unofficially. "In the scale of these numbers you're talking an extra hundred million dollars in a $1.5, $1.6 billion project. It doesn’t seem like that much. 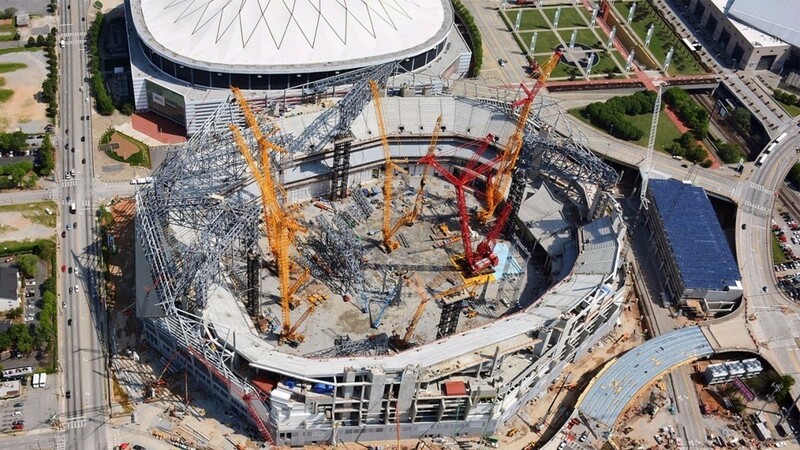 But it really is," said Dr. JC Bradbury, a stadium funding expert at Kennesaw State University. Bradbury says it’s commonplace for stadium costs to soar as construction drags on. 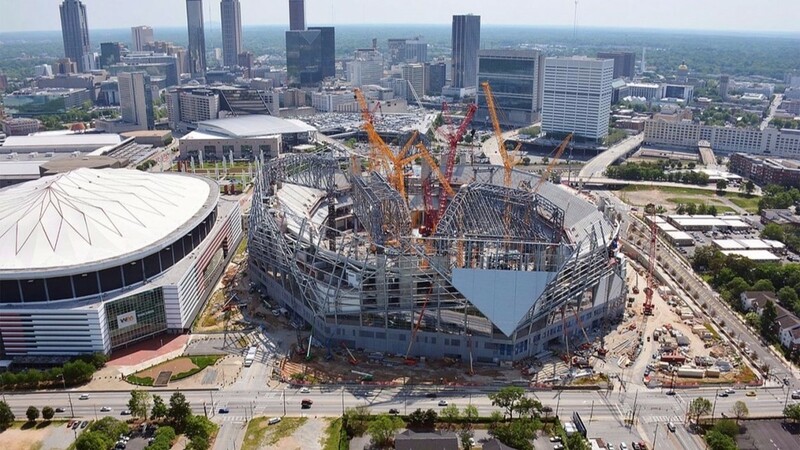 The Falcons stadium has already delayed its opening date by some three months. "And these things add up. Particularly when you're building a luxury stadium and things don’t go right, you want to make some changes, those costs go up. And that’s something that’s very common in this type of construction," Bradbury said. When we asked McPhee about the new $1.6 billion cost, she answered by saying that the new figure "may not be public yet." She was reminded that TV cameras recorded her and Reed's remarks.